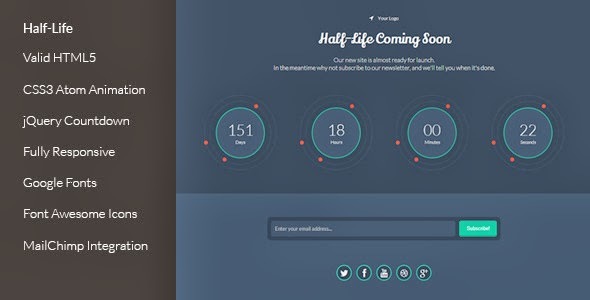 Half-Life is a creative, clean and modern coming soon page template. Half-Life is fully responsive and works on all devices from the iPhone to the iPad. If you like this template please remember to rate and a leave a comment. Item Reviewed: Half-Life - Responsive Coming Soon Template 9 out of 10 based on 10 ratings. 9 user reviews.